If spring and early summer somehow slipped past without you getting all the vegetables planted that you wanted to, you are not alone. Life happens on its own schedule, and when one of the kids takes sick or the boss needs you to work overtime during planting season, it can interfere with your high hopes and well-laid plans. But take heart—it is not too late. Depending on your growing zone and how many days you have left before frost, there are up to 11 vegetables you can still plant, from seed, and eat this season. Where I live in Zone 4, we usually expect our first frost about the third week of September. That means I can plant all eleven of the following vegetable choices right up until late July. 1. Radishes. Almost all cultivars of radish can be grown in under 60 days. Most of them mature in half that time. Summer radishes are great plain, on salads, and braised in a buttery syrup. Even winter storage and daikon types are generally 60 days or less. 2. Kale. This healthful favorite can be grown to full maturity in 60 to 75 days, depending on your conditions and the specific cultivar. From salads and stews to smoothies and sautes, nothing beats fresh-from-the-garden kale. 3. Peas. Mid-to-late summer is the perfect time to plant peas for a fall crop. They do not like high heat, and planting now will allow them to grow in relatively cool conditions. Most varieties are ready to harvest at between 50 and 60 days. Eaten in or out of the shell, peas are a wonderful addition to any meal. 4. Cucumbers. Many cucumber cultivars reach maturity from seed in 60 days or less. Cukes vary widely, from as few as 49 days to nearly 70. There is at least one cultivar in each type—pickling, slicing, beit-alpha, and Asian—with a short growing season. Plant now for that one last cucumber sandwich before the first fall frost! 5. Summer squashes. There is a delightful array of zucchini, yellow and patty pan squashes that can be grown in a very short time. Some cultivars reach harvestable size in an astonishing 40 days. The culinary delights of summer squashes are practically limitless! 6. Carrots. Many varieties of summer carrots reach maturity in under 60 days. Short and round, long and skinny, thick and blunt—there are some short season cultivars in every shape. Storage carrots can take a little longer, some up to 85 days, so be sure to read the packet or catalog information. 7. Beets. This amazingly diverse vegetable can produce delicious edible greens in just over a month, and can reach full maturity in well under 60 days. I thin early beets and use the tiny pulled seedlings on salads and wraps. Later, the larger greens are great cooked and topped with butter. Mature beets are excellent pickled, pan-fried, or in baked goods. Most beet cultivars are harvestable in under 60 days, including classic reds, striped Chioggia types, and mellow golds. 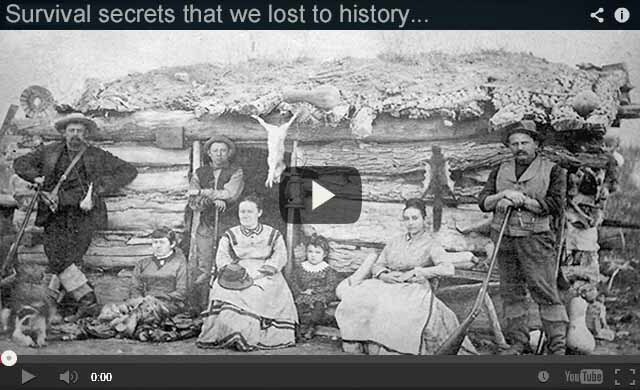 Click here to discover how our ancestors survived during harsh stime! 8. Swiss chard. This hardy vegetable is able to be harvested as tender baby greens in as little as four weeks after harvest and reaches full maturity in under 60 days. Beautiful and delicious, chard comes in a rainbow of colors from greens and yellows to reds and golds, packs a powerful nutritional punch, and will make you glad you planted it right now. 9. Non-heading broccoli. Sometimes called “broccolini,” this fast-growing brassica variety is ready for harvest in under 60 days. The entire plant—flowers, stalks, and even leaves—can be enjoyed raw, steamed or stir-fried. 10. Beans. Most bush beans meant for fresh eating, such as green beans, wax beans and haricot verts, are ready for harvest in 60 days or less. If planting pole beans instead, check the package—a few can be grown in a short season, but pole beans often require a medium-to-long season. Perfect for fresh eating, pickling, salads, steaming and roasting, easy-to-grow beans are an excellent last-minute choice for getting the most out of your backyard garden. 11. Greens. Almost all greens are mature in less than 60 days. Spinach, depending on the particular cultivar and growing conditions, is ready in as little as a month. Lettuces take a little longer. Asian greens such as Chinese cabbage, mizuna and mustard greens, and pac choy range from six to eight weeks to maturity. Collard greens take a little longer to fully mature, but as with any greens can be picked and eaten earlier if preferred, or if needed to beat an early frost. An additional bonus with kale, spinach and a few other greens is that they will survive frosts, to some extent. They will not continue to grow afterwards, but will remain viable in the garden, making them able to be planted and harvested even later. As you can see, there is still plenty of opportunity this season to grow a nice selection of tasty nutritious vegetables for fresh eating and preserving. It is time to dig out those seed packets and get ready for late-summer bounty. Whether you want to call purslane a weed or an herb, there is no denying the healthy benefits of this often-overlooked plant. Vegetables That Should Be Planted Next To Each Other!